If you have met me in person, then you know who my sidekick, crafting buddy, BFF and upline is. Her name is Christine Bellow and she is known online as the Stamping Ninja. She designed this card and I LOVE LOVE LOVE it so I asked her to be a guest on my blog today and below is what she had to say about her latest creation. Enjoy! I just LOVE all things Halloween & boy oh boy do we have some really great Halloween goodies in this catalog, right? And what goes great with ANY holiday or season? Ummm, Crumb Cake, of course!!! It is quite possibly the BEST neutral ever invented, and no, not just because it resembles the color of burlap (although, no lie, that helps a lot wink emoticon ) I've always said that a great way to add some "pizzazz" to a card is with one of our embossing folders - they're a quick, easy & inexpensive way to add some interest & texture to any project and the Holiday Catalog's Woodland Textured Impressions Embossing Folder is no exception! Stampin' Up! is known for producing some of the prettiest & highest quality paper products you can find & they didn't disappoint this holiday season when they gave us the Happy Haunting DSP, Black Glimmer Paper and the Spider Web Doilies! The Holiday Catalog's hostess set, Six Sayings, has some really wonderful sentiments for all the holidays, including the "FaBOOlous" that I used on my card & my Halloween bats? No, Stampin' Up! didn't bring back their bat punch but instead, I got a little creative with my Bitty Butterfly & Elegant Butterfly punches (that's right, this Ninja is more than just a pretty face! She's crafty too, LOL!)! 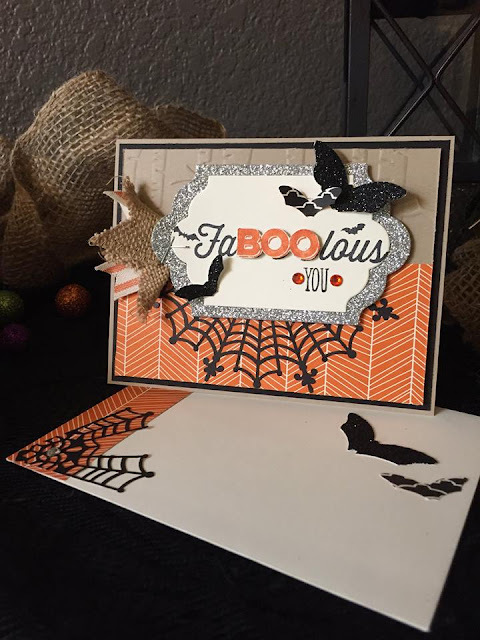 Add some bling & ribbon & you've got yourself a card that's spooky & spectacular! Do ya love it? Want to be spooky & spectacular too (not to mention "festively fall, wonderfully winter & crazy for Christmas")? Then head on over to the Stampin' Up! 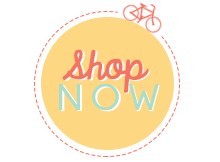 store & get whatcha' need to get craftin'!!! Then come back & show us what you made! Margie & I would love to see your craftiness!